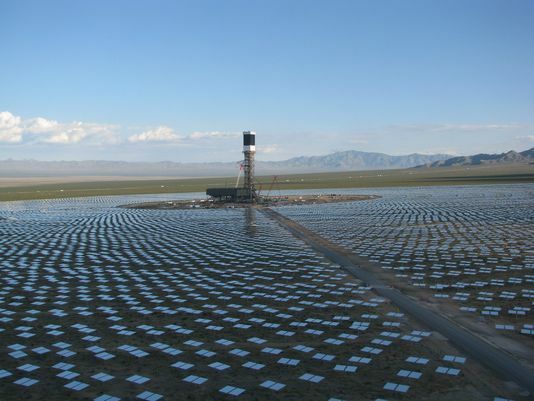 Above: mirrors from solar thermal plants converge their heat towards a central tower. 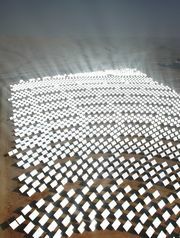 Below, a picture of the world’s largest solar thermal plant, in the Mojave Desert, California. 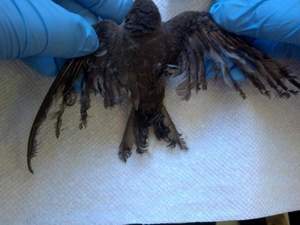 “Along with radiation injuries, scientists are concerned about bird deaths linked to confusion because of the shimmering expanses of solar panels in the desert. At photovoltaic projects such as Desert Sunlight, dark, flat solar panels are spread out over hundreds of acres in what may look like a big lake to migrating birds flying overhead. “Water or shore birds attempting to land on the panels either could hit them with enough force to injure themselves or, stranded on dry land, be unable to take off again. I had not heard of this threat before! That is a terrible revelation!